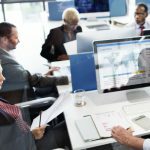 Need to Knows: Cryptocurrency Part 3 | Automated Systems, Inc. 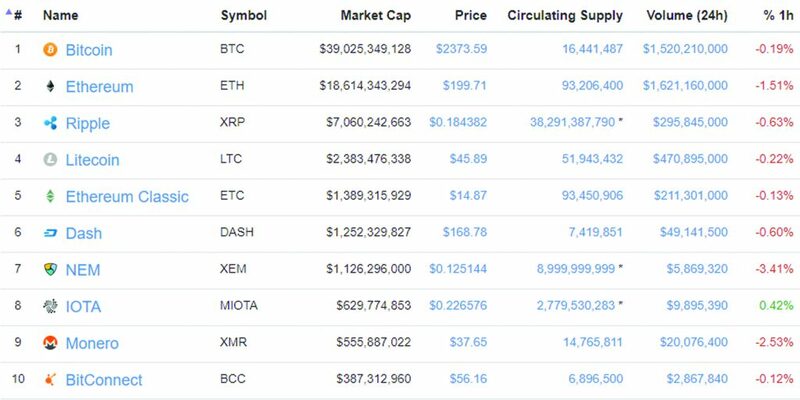 The top six listed cryptocurrencies. Bitcoin – Bitcoin is a cryptocurrency and a digital payment system invented by an unknown programmer, or a group of programmers, under the name Satoshi Nakamoto. It was released as open-source software in 2009.
blockchain-based distributed computing platform featuring smart contract (scripting) functionality. It provides a decentralized Turing-complete virtual machine, the Ethereum Virtual Machine (EVM), which can execute scripts using an international network of public nodes. Ethereum also provides a cryptocurrency token called “ether”, which can be transferred between accounts and used to compensate participant nodes for computations performed. Gas, an internal transaction pricing mechanism, is used to prevent spam and allocate resources on the network. currency exchange and remittance network by Ripple. Also called the Ripple Transaction Protocol (RTXP) or Ripple protocol, it is built upon a distributed open source Internet protocol, consensus ledger and native currency called XRP (ripples). Released in 2012, Ripple purports to enable “secure, instant and nearly free global financial transactions of any size with no chargebacks.” It supports tokens representing fiat currency, cryptocurrency, commodity or any other unit of value such as frequent flier miles or mobile minutes. At its core, Ripple is based around a shared, public database or ledger, which uses a consensus process that allows for payments, exchanges and remittance in a distributed process. In 2014, Ripple defended the security of its consensus algorithm against rival Stellar Network. Currently, Ripple is the third-largest cryptocurrency by market capitalization, after bitcoin and Ethereum. 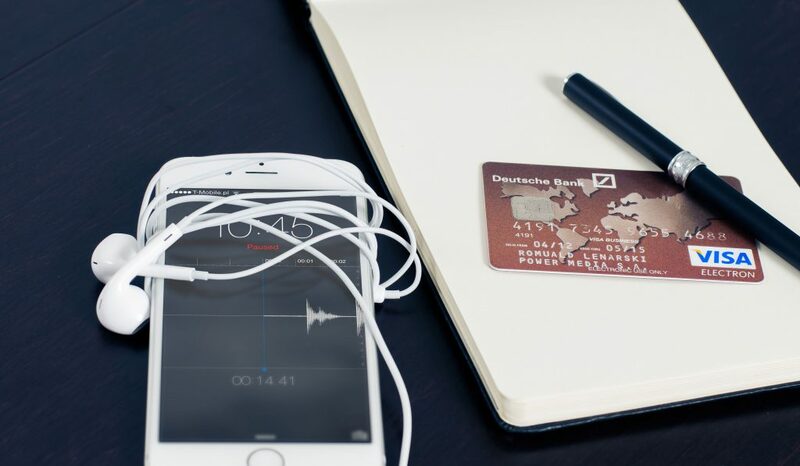 Used by companies such as UniCredit, UBS or Santander, the Ripple protocol has been increasingly adopted by banks and payment networks as settlement infrastructure technology, with American Banker explaining that “from banks’ perspective, distributed ledgers like the Ripple system have a number of advantages over cryptocurrencies like bitcoin,” including price and security. 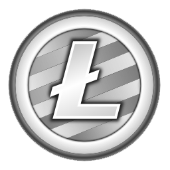 Litecoin – Litecoin (LTC or Ł) is a peer-to-peer cryptocurrency and open source software project released under the MIT/X11 license. Creation and transfer of coins is based on an open source cryptographic protocol and is not managed by any central authority. While inspired by, and in most regards technically nearly identical to Bitcoin (BTC), Litecoin has some technical improvements over Bitcoin, and most other major cryptocurrencies, such as the adoption of Segregated Witness, and the Lightning Network. These effectively allow a greater amount of transactions to be processed by the network in a given time, reducing potential bottlenecks, as seen with Bitcoin. Litecoin also has almost zero payment cost and facilitates payments approximately four times faster than Bitcoin. decentralized Turing-complete virtual machine, the Ethereum Virtual Machine (EVM), which can execute scripts using an international network of public nodes. 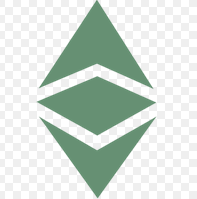 Ethereum Classic also provides a value token called “classic ether”, which can be transferred between participants and is used to compensate participant nodes for computations performed. Gas, an internal transaction pricing mechanism, is used to prevent spam on the network and allocate resources proportionally to the incentive offered by the request. It is the 5th largest cryptocurrency by market cap. Ethereum Classic came into existence as a result of the DAO hard-fork. It consolidated members of the Ethereum community who rejected the DAO Hard Fork on philosophical grounds, for reasons stated in the Ethereum Classic Declaration of Independence. People who held Ether from before the DAO hard fork have both a balance of Ethereum Classic (ETC) and an equal amount of Ethereum (ETH). Exchanges that held customer funds in Ethereum also held in their control a proportional quantity of ETC after the hard fork but may have lost significant amounts due to the lack of replay protection that was not programmed in the DAO Hard Fork code released by the Ethereum Foundation and exchanges lack of knowledge of how to separate ETC from ETH and secure it. Users at most ETH exchanges have demanded their ETC be made available to them. As of 1 February 2017, both Ethers are actively traded. Ethereum Classic underwent a technical hard fork to adjust the internal pricing for running various op codes on the Ethereum Virtual Machine (EVM) on 25 October 2016, similar to the hard fork the ETH chain did a week earlier. The goal was to more rationally price various compute-intensive and external reference commands to reduce the incentive for spammers who had conducted a month-long distributed denial-of-service attack on the ETC network. A hard fork that occurred early 2017 successfully delayed the so-called “difficulty bomb”, originally added to Ethereum’s code in September 2015 in order to exponentially increase the difficulty of mining, or the competitive process by which new transaction blocks are added to the network. Another hard fork is planned for late 2017 to change unlimited token emission to a fixed-cap monetary policy similar to bitcoin with a hard cap of around 210 Million. platform launched on March 31, 2015. Written in Java, with a C++ version in the works, NEM has a stated goal of a wide distribution model and has introduced new features to blockchain technology such as its proof-of-importance (POI) algorithm, multisignature accounts, encrypted messaging, and an Eigentrust++ reputation system. The NEM blockchain software is used in a commercial blockchain called Mijin, which is being tested by financial institutions and private companies in Japan and internationally. All of the above overviews were taken from Wikipedia. You should have noticed that within these cryptocurrencies some are aiming for specific markets. Some of them are very narrow in their offering. Part 4 will provide some insight into who the movers and shakers are in the cryptocurrency economy.